Posted September 29, 2009 in Doctor Doom, Dylan McCrae. 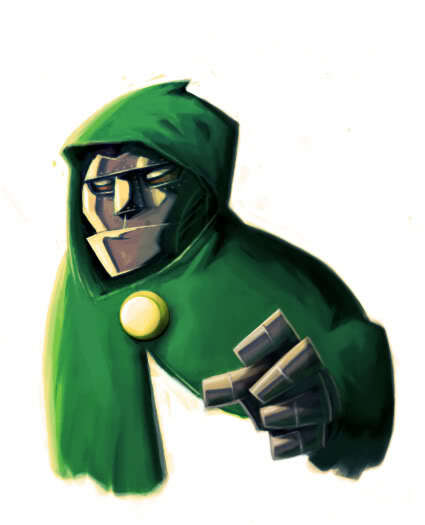 Victor Von Doom courtesy of Australian artist Dylan McCrae. Dylan is currently providing colours for the forthcoming trade paperback, Gladstone’s School For World Conquerors. His colour work has also graced the pages of Savage Dragon, Strange Tales and Popgun. You can find more of Dylan’s work over at his blog and the art collective site SatelliteSoda.